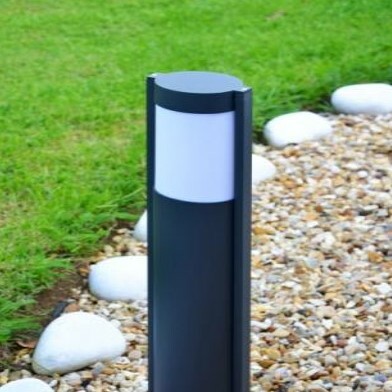 The Ovus 650 G is a dark grey, aluminium outdoor weatherproof post light. 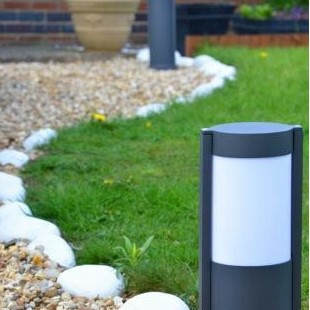 This low energy, 650mm garden path light not only looks good but saves money on energy bills too. The Ovus is a modern and sturdy design, perfect for use in gardens, driveways, car parks or any other outdoor space. It is available in two colours and two heights. It also has a macthing outdoor wall light. 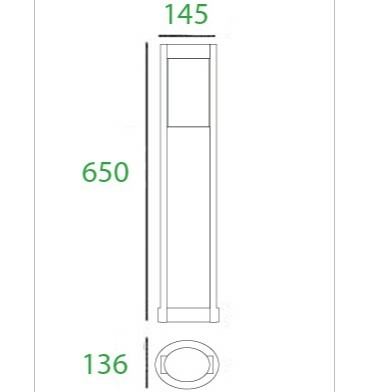 Light diffuses softly and evenly from the bollard diffuser.